Windows are an extremely important part of any building. It is crucial to have the right kind to suit your needs and the architecture of the building. 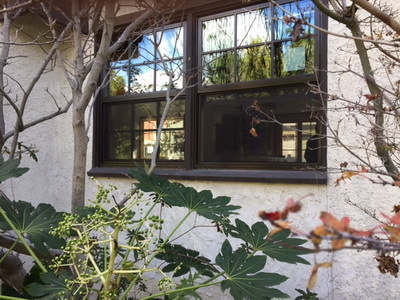 If you are searching for a Windows Replacement in La Crescenta-Montrose, you will want to look to Intex Windows & Doors. We have many options in stock from some of the leading brands in the industry, including but not limited to Jeld Wen and Milgard. You will love how committed our company is to seeking out only top quality models of doors and windows for distribution. The styles vary, so you can select something that perfectly fits your situation. If you have a music studio and would like to reduce the noise levels that are emitted from it, the Quiet Line series from Milgard would be ideal. If you want something sleek and industrial-looking, the Aluminum windows from Fleetwood are a great choice. You may need something that has unique specifications, and if this is the case, you do not have to worry. If none of the models you see in the catalog are a match for what you want, you can talk to a representative about having a custom one created for you. The process is a fairly easy one – all you have to do is be ready with the specifications and a description of what you envision when you place your call to Intex Windows & Doors. Then, the customer service agent will be able to talk through the options that are a good fit, including the materials and finishes. You actually may even end up enjoying shopping for doors and windows when you go through Intex. Shopping for windows can be a big hassle, much of the time. You like have experienced great frustration if you have shopped for and purchased fixtures for your home or office building. It does not have to be this way. Take a deep breath, pull up our website, and look around at the selection of Windows Replacement in Montrose from which you can take your pick. The site is laid out to make it easier to do a search for the features and styles that you would like to have in your windows and doors. There are categories and brands that you can click on, including Milgard Ultra fiberglass Windows. Then you can view the photos of all the models that are sold by Intex Windows & Doors. This makes it incredibly easier to conduct a search and know what you will be getting. We pride ourselves on selling only items that have been handcrafted with professionalism. The products are energy efficient, meeting the high standards that have been set by ENERGY STAR. You will be glad to know that our fixtures are covered by full lifetime warranties, in case there are any issues when it arrives at your property or some type of damage occurs for which you are not at fault. Enjoy the luxury of shopping from your house, or really from anywhere you wish, when you can go through the retail website for Intex. If you want to talk about a custom project or ask questions about the products, feel free to give us a call or send a message through the online form. We are happy to be your supplier of high end doors and windows.